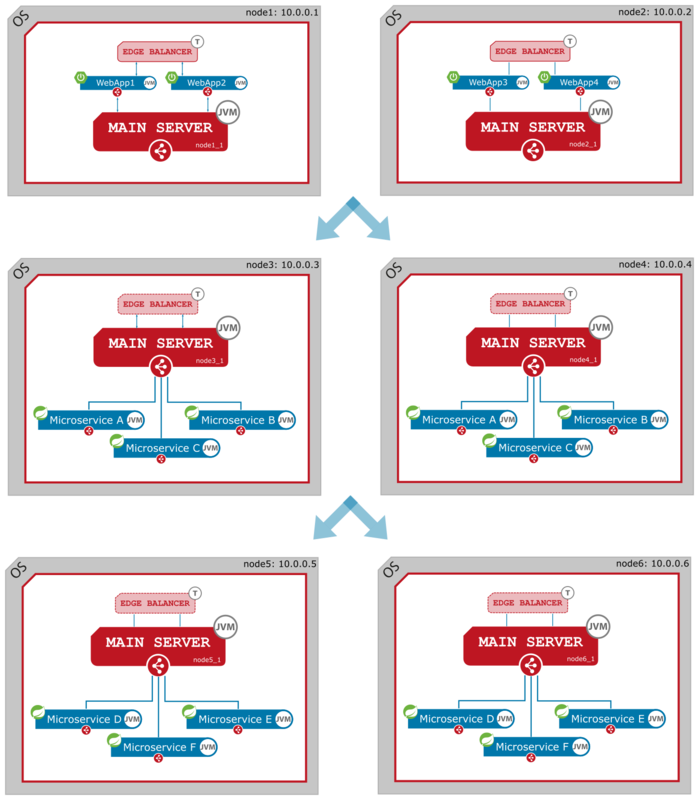 In this chapter we consider configuration where multiple group nodes, configured accordingly to multi-node deployment plan. 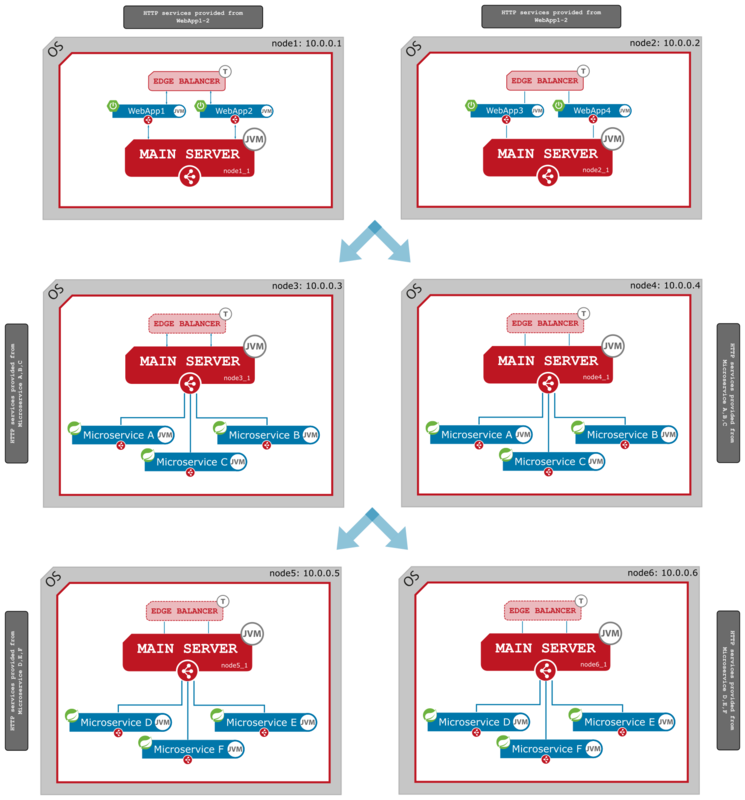 Let assume that these set of groups of nodes are supposed to communicate between each other in ordered way: WebApp1-2 -> Microservices A,B,C -> Microservices D,E,F and provide only specific services outside the business domain that they are support. This idea is shown on the following picture. name: zone_access    # <-- !CHANGE! name: zone_business    # <-- !CHANGE! name: zone_datasource    # <-- !CHANGE! NOTE that JLupin Edge Balancer is not involved in communication between zone_access and zone_business as well as between zone_business and zone_datasource, it provides services from each zone individually, for example for integration purposes. In that we have three zone system configuration, where each zone can be developed, deployed, scale and managed individually, but they act as a single, consistent and designed in the secured way point of providing services, as shown in the following picture.